With 40 years' experience and expertise, the Isle of Man's life insurance and wealth management sector offers your clients the benefits of strength, stability and security. And, with a range of products to suit the diverse needs of investors, expatriates and high net worth individuals, it's a compelling choice for your business. These are three reasons why the Isle of Man should be your first choice. The Isle of Man is home to a number of regulated life insurance and wealth management companies offering a broad range of products and services. These can support a variety of your client's financial planning requirements including wealth protection and succession planning. As a result of our wealth of expertise, experience and understanding of the markets in which we operate, we offer products that directly cater to the needs of your customers. Benefits include, but are not limited to, multi-currency options, the ability to invest into markets that would otherwise not be available and portability. The variety of products on offer gives the Isle of Man's life insurance sector the broadest market footprint of all established cross-border life domiciles. Customers include UK nationals and expatriates, high net worth individuals, expatriates from other countries and local nationals from around the world. This diversity and flexibility makes it easy for advisers to cater for customer needs through one international financial centre. This is further enhanced by the technical support and excellent customer care that all our companies provide. Customer protection is an important feature of the products you recommend, with clients valuing the benefits that a well-regulated and transparent market can bring. The new Conduct of Business Code will be introduced on 1st January 2019 to further enhance consumer protection. The Code applies a range of principles to insurers' business practices in order that policyholders continue to be treated fairly, including the requirement to provide new customers with standardised information including details of commissions and fees, in the form of a Key Information Document or a Summary Information Document from 1st July 2019. This move towards greater transparency will help advisers bolster relationships with their customers. The Isle of Man is one of the oldest and largest international life insurance and wealth management centres offering cross-border products, having built up expertise in this market for over 40 years. 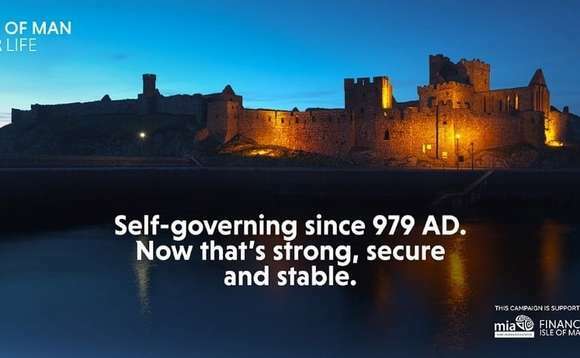 The Isle of Man has a high level of political stability. As a UK Crown Dependency, it has its own government and laws and, in ‘Tynwald', boasts the oldest continuous parliament in the world at over 1,000 years. The experience and expertise that the Isle of Man's life insurance and wealth management sector has gained is widely recognised. As well as being rewarded with awards for Best International Finance Centre, it has also been recognised by the International Monetary Fund as a well-regulated Finance Centre of Excellence. The sector is also represented by the Manx Insurance Association, an industry body committed to promoting professionalism and excellence.